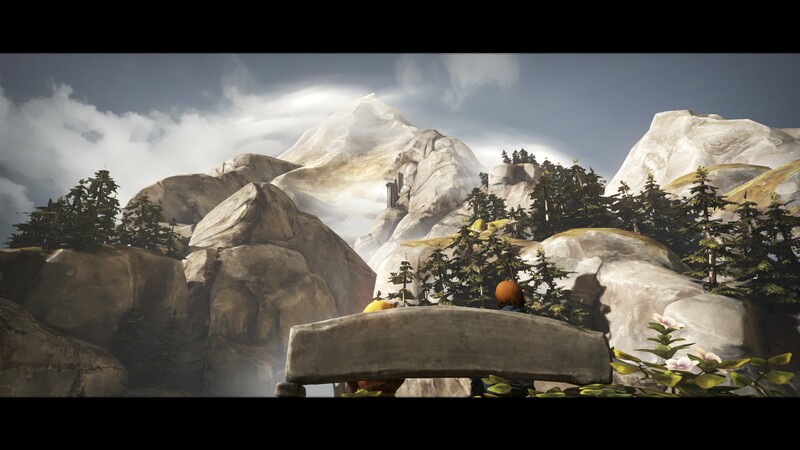 Whilst short, Brothers tells a better story in 3 hours than many other games do in 12. 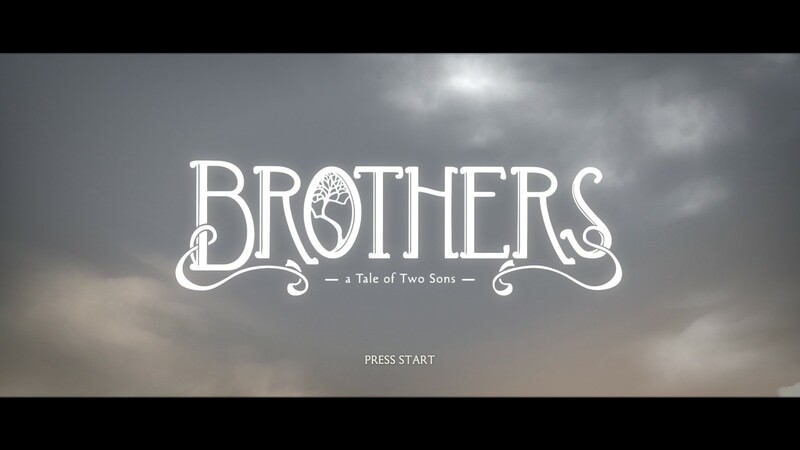 I’ve read about Brothers: A Tale of Two Sons in the past, with articles usually talking about how its producer is a movie director by the name of Josef Fares, and how his background has shaped and influenced the design of the game. It’s certainly been on my radar, and I wanted it the day it was released, but being stripped for cash last year, I had to hold off. Over Christmas, Brothers was reduced to £3.59 on Steam; without hesitation, Brothers instantly became a part of my game library, ready to be explored until I was satisfied I had seen every nook and cranny. The world of Brothers reminds me of Lord of the Rings; beautiful and constantly portraying fantasy. Each environment portrays a different emotion, which had me on a roller coaster ride from start to finish. You start Brothers with your story explained within 5 minutes: your father is sick and needs a special ingredient from a tree to survive. With this little bit of information, the Brothers embark on an epic journey to find this tree, taking on all the elements of nature, monsters and anything else silly enough to cross their path. 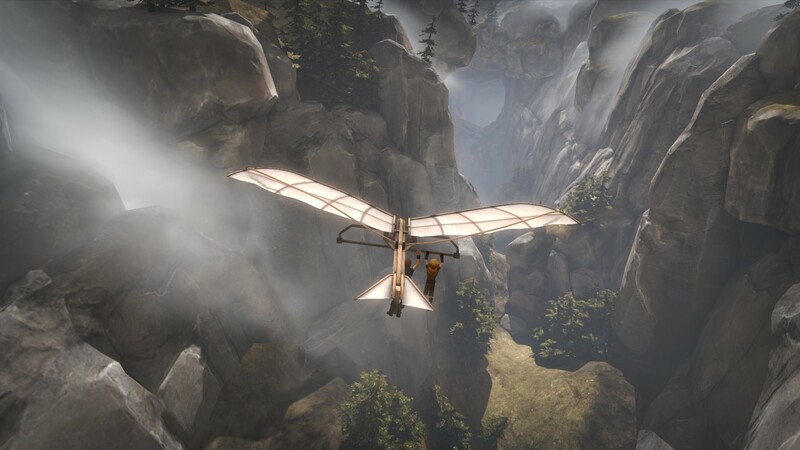 The story has it’s highs and lows, with the start of the game being an adventure, before the surrealism of how giant the task is before them starts to unveil. It’s the highs and lows that make Brothers such a memorable trip, with the environment around the pair being an extension of their feelings at any given time: Stormy weather showing fear and dread, and bright vista’s showing hope and glea at the challenges already overcome. Controls will take some getting used to, with the brothers controlled by one analogue stick each, the left analogue stick controlling the older brother, whilst the right analogue stick controls the younger, along with the corresponding triggers to activate events. It makes for a weird experience at the start of the game, but soon becomes second nature. Without even thinking you’ll automatically place the correct brother in the correct place, something that doesn’t become any less enjoyable as the story progresses. Certain puzzles and challenges will test your ability with the dual controls, but any player should be able to get by eventually. The unique control system allows Brothers to mess with your perception of how puzzles are solved, and presents brand new ways to play. Anyone observing Brothers would think you’re playing in online co-op, with one brother moving to grab a lever whilst another fights off a troll, it really feels like both brothers are independent in nature, yet tied together by you, one player. 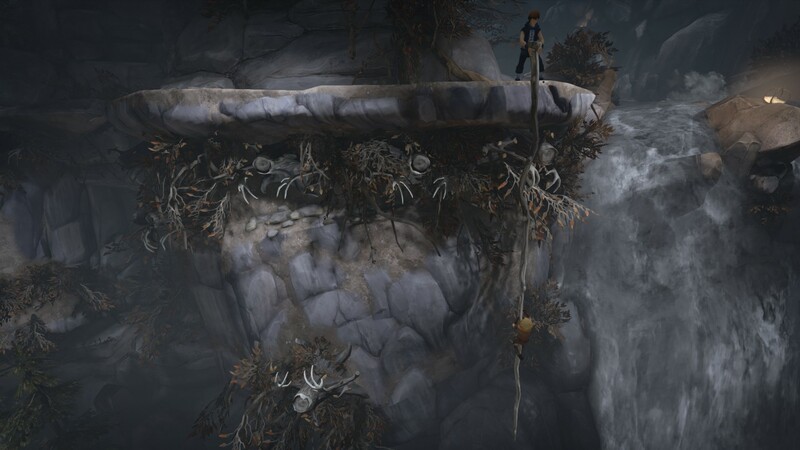 The unique control scheme really adds to the story of Brothers, with each analogue stick controlling one brother. It takes some getting used to, but by the end of the game you’ll be competent enough to know how to navigate every obstacle in your way. The story of Brothers is rather simple in nature (you’re rescuing your father from certain death), but becomes epic in scale as the journey progresses. You take on side challenges which in turn help you on your way to the magical tree that will help your father. These side pieces don’t junction too far from the main narrative, and serve to enhance it, building a world of likeable creatures which have their own purpose and focus. Near the beginning of the game you’ll come across a troll that is just sat on a stool looking very sad and crying. The game doesn’t intrinsically tell you he has a partner, but subtle hints (like the two troll beds in the background) allow you to surmise his partners existence, and that she is either missing or has passed away. These mini stories/side quests help to flesh out the world as you progress, bringing new lore and promise with each new character and environment you are introduced too. The amount of polish put into both the environment and the quality of the controls is astounding. Creatures feel alive, and have a genuine personality even though you only meet them for a few seconds. Josef Fares has helped to create a world which you feel is being lived, and isn’t there only for your enjoyment. Early in the game, you come across a dog in a field, barking and chasing down anything it finds. It feels natural, something you’d see daily with children teasing a dog, and not just placed to give the player a simple puzzle. The fact that the controls tie into the story, with each brother not able to progress without the other is another fantastic development for our industry, and one that must have taken a lot of time and pressure convincing publishers the benefits of such a system. Massive set pieces are a commonality in Brothers. I’m not complaining though, these pieces are some of the most astounding scenes in the gaming industry, rivalling even other media in the world like Lord Of The Rings’ epic landscapes. To surmise, Brothers, like last week’s Gone Home, completely blew me away when I played both in one night. This highly polished game tells the story it needs, whilst going one step further in linking the story with the game controls. Like Journey that came a few years ago, it’s a game I would easily point out to people who put their noses up whenever the slightest whisp of games are mentioned. It’s a game that every person should play in their life at least once, even if they aren’t into games, similar to how everyone needs to experience Alien or Godfather, it needs to be played to show the accumulation of how far we’ve come, and how much of a landmark of a game it is.